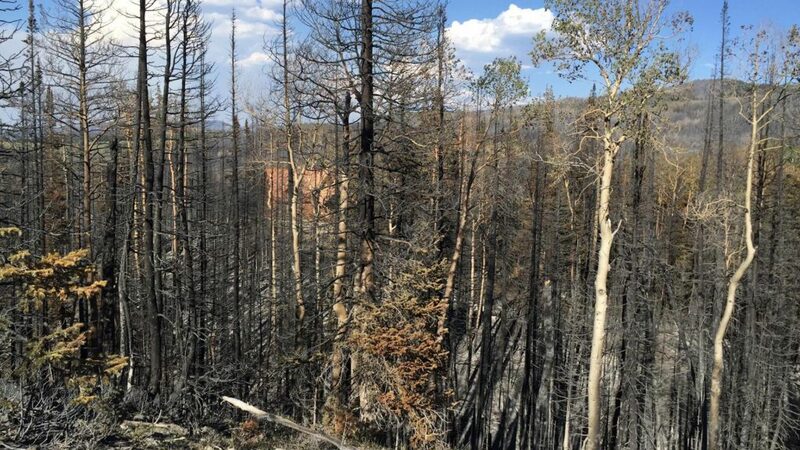 CEDAR CITY – The Dixie National Forest Supervisor’s Office has been receiving calls from many wanting to help replant trees in the area consumed by the Brian Head Fire, forest officials said Monday. “However, we are not at that point yet,” Kacy Ellsworth, public affairs officer with Dixie National Forest, said in a prepared statement. For those who want to do something to help the forest regenerate, Ellsworth said, there is one simple option: Donate to the national Plant-A-Tree program. The U.S. Department of Agriculture Forest Service’s “Plant-A-Tree Program,” established in 1983, allows individuals or groups to contribute funds directly to the Forest Service for tree planting on national forest land as a positive and personal step toward improving the environment. Donations may be made to the service’s national headquarters office or to a specific national forest, including the Dixie National Forest. The suggested minimum donation is $10 which can usually plant approximately 10 seedlings, generally conifers. The contributed funds are exclusively used for acquiring seedlings and to cover the cost of planting trees. The Forest Service will take care of the trees as part of its normal reforestation activities. Trees will not be individually identified; planting a specific tree in memory of an individual is not authorized. Trees will be planted for multiple use management purposes and may be subject to harvesting at the appropriate time. Planting takes place during the next planting season following the donation. However, it is possible to commemorate a contribution. A certificate is provided to either the donor or to another party named by the donor. If the contribution is on behalf of another person or family, donors should indicate the name of the person or people to recognize and the name will be placed on the certificate. The donor’s name will be noted as the contributor on the certificate unless otherwise noted. Remember to include the address to send the certificate if it is different than the person making the contribution. Make checks or money orders payable to “USDA, Forest Service.” Contributions are nonrefundable. It may take between 4-6 weeks for the donation to process after a letter or check has been received. I’m sensing a money grab?. Media Propaganda ? I wonder if the person who started the fire will offer a donation. Shouldn’t the people who are REALLY responsible for the fire be held accountable? Southern Utah Wildlife Alliance and the Sierra Club along with their puppet politicians who were purchased to let them have the run of our forests. Where are they now? How are their spotted owls and three-toed ginks doing now?